You can never have too much of a good thing! 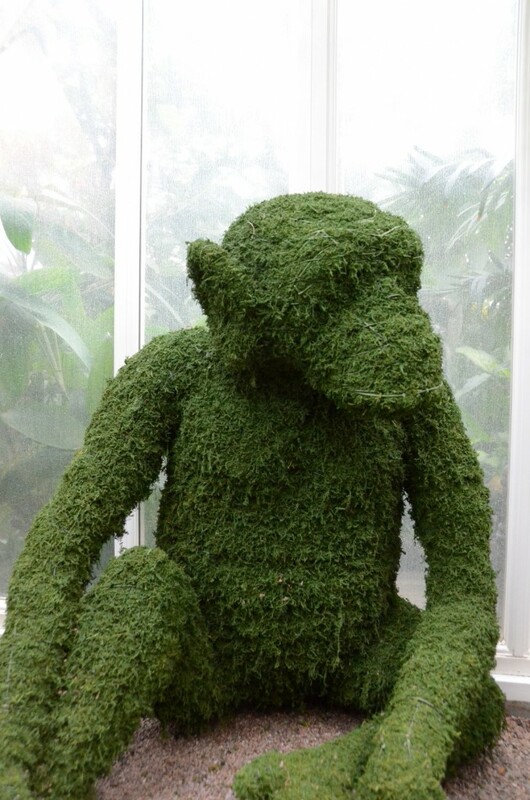 No sooner had we finished our Red Shanked Douc monkey project for the Body Shop than we were contacted by Stephan Hammar one of the gardeners at the beautiful 19 th -century Trädgårdsföreninge in Gothenburg, Sweden. 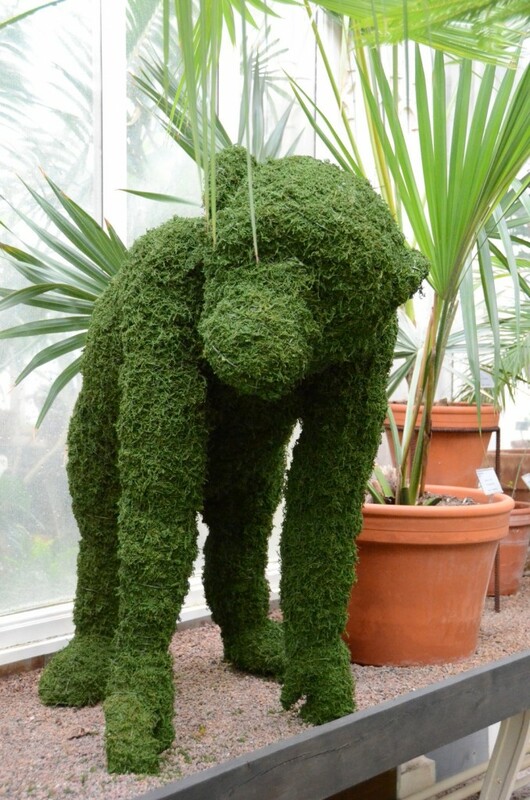 The park is celebrating its 175 th birthday and the staff particularly wanted to commemorate Ricky and Tony – two chimpanzees that lived in the 1878 Palm House which had been designed and built by the British firm Alexander Shanks & Sons. 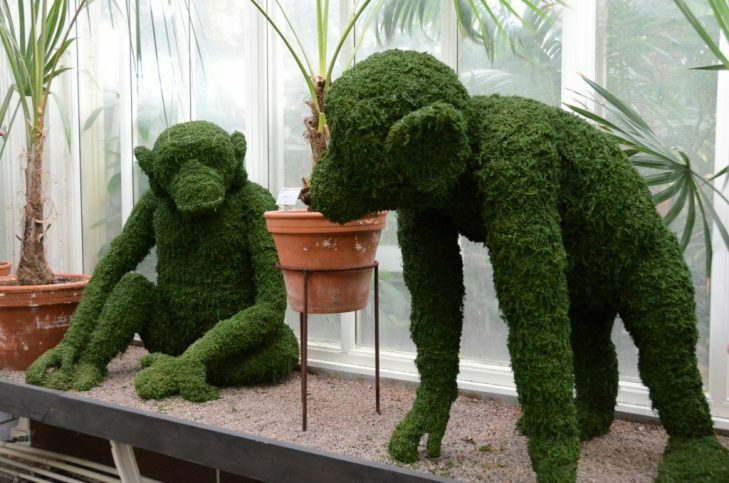 Stephan explained that pictures of our “wonderful” Red Shanked Douc monkeys had caught the park staffs’ attention and they commissioned us to make two topiary chimpanzees for the Palm House. The analogy between the Red Shanked Douc and Shanks & Sons seemed serendipitous too. There are many anatomical differences between the Red Shanked Douc and its more prosaic cousin the chimpanzee. Never ones to shirk a design challenge we carefully researched the physical appearance of the chimpanzee and, as the photo shows, we captured every nuance of limb length, head shape and characteristic body pose.